C. G. Jung (1875 "1961) was a preeminent thinker of the modern era. In seeking to establish an interdisciplinary science of analytical psychology, he studied psychiatry, religion, mysticism, literature, physics, biology, education, and criminology. He introduced the concepts of extraversion and introversion, and terms such as complex, archetype, individuation, and the collective unconscious. He stressed the primacy of finding meaning in our lives. 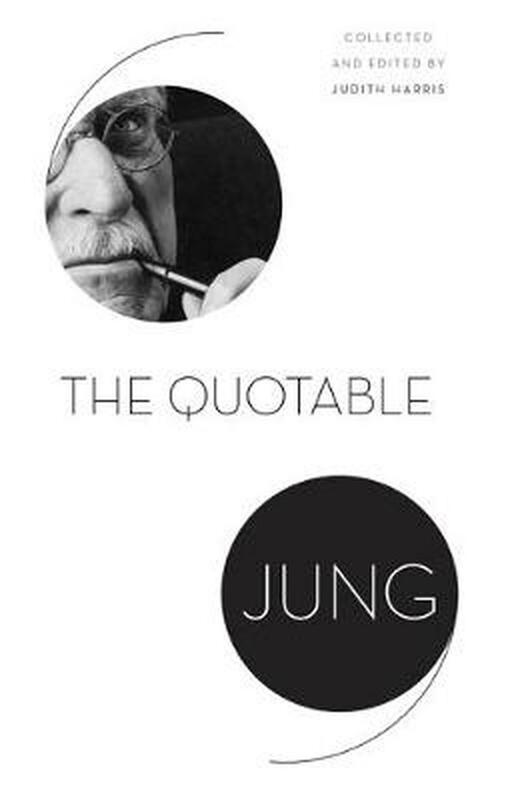 The Quotable Jung is the single most comprehensive collection of Jung quotations ever assembled. It is the essential introduction for anyone new to Jung and the Jungian tradition. It will also inspire those familiar with Jung to view him in an entirely new way. The Quotable Jung presents hundreds of the most representative selections from the vast array of Jung's books, essays, correspondence, lectures, seminars, and interviews, as well as the celebrated Red Book, in which Jung describes his own fearsome confrontation with the unconscious. Organized thematically, this collection covers such topics as the psyche, the symbolic life, dreams, the analytic process, good and evil, creativity, alchemical transformation, death and rebirth, the problem of the opposites, and more. The quotations are arranged so that the reader can follow the thread of Jung (TM)s thought on these topics while gaining an invaluable perspective on his writings as a whole. Succinct and accessible, The Quotable Jung also features a preface by Judith Harris and a detailed chronology of Jung (TM)s life and work. "This well-structured collection of Jung quotations is intended primarily as an introduction to the psychoanalyst's work, though even those who are more knowledgeable will find it useful for inspirational browsing. . . . This work surpasses the previously most comprehensive collection of Jung's quotations." --Choice "Brings all of Jung's ideas together in brilliant form. . . . [The Quotable Jung] plucks out Jung's best moments of clarity and organizes them in a way that makes Jung accessible to the uninitiated. . . . Unlike most compendiums, the selected quotes build on one another, providing a logical succession of ideas. One could read the book from cover to cover and acquire an advanced understanding of Jung's entire opus." "Andrew Ladd, First Things "This comprehensive selection of quotations provides a pathway into the complex world of Jung's thought while never reducing his ideas to oversimplified formulas. The Quotable Jung is an extremely useful volume for anyone coming to Jung for the first time." "Paul Bishop, author of Reading Goethe at Midlife: Ancient Wisdom, German Classicism, and Jung "An ideal resource for anyone seeking to find Jung's most fertile ideas succinctly and powerfully stated." "John Beebe, author of Integrity in Depth "A simple and clear introduction to many of Jung's ideas and works." ---Amanda Izenstark, ARBA "One of Choice's Outstanding Academic Titles for 2016"